An elegant timeless scent filled with a fresh, luminous blend of natural ingredients like Bulgarian rose, Sicilian citrus fruits, lavender, and verbena. Notes: Bergamot, Citrus, Lemon, Bitter Orange, Sweet Orange, English Lavender, Bulgarian or Damascene Rose, Verbena, Clary Sage, Rosemary, Cedarwood, Patchouli, Sandalwood, Vetiver, Oakmoss. Style: Classic. Timeless. Natural. 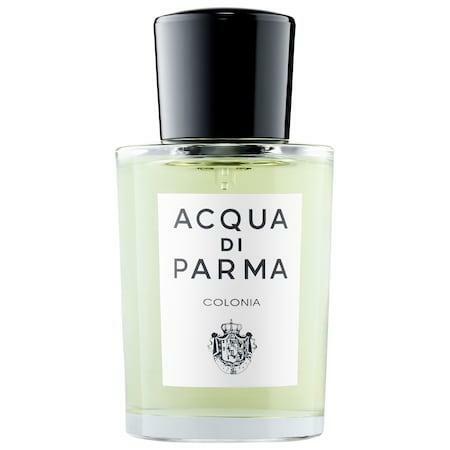 Acqua Di Parma Colonia Assoluta Deodorant Spray 5.0 Oz.